I have been invited by #EdBookNZ editor Sonya Van Schaijik (Twitter: @vanschaijik) to contribute to the #EdBookNZ 2017 edition. Sonya is one of the great collaborators and activists in the world of education today. It is my pleasure to submit the following essay. I urge educators from around the globe to connect, collaborate and share learning with our colleagues down under. We have so much to learn from one another. And learning is the work. I am a primary school headteacher (Principal) in the UK. I have extensive experience in school leadership and a particular interest in family engagement and home-school-community partnership. I am completing a doctorate at Manchester University. My research is on home-school partnership through building relational trust and achieving a more equitable partnership, recognising and addressing the issue of relational power. Writing in 1887, the German sociologist Ferdinand Tönnies introduced the terms gemeinschaft (community) and gesellschaft (society) in highlighting and examining the shift away from a vision of life as sacred community and toward a more secular society. The transition from a hunting and gathering society to an agricultural society, and then on to an industrial society, he says, have seen community values replaced by contractual ones. In 1992, Sergiovanni argued for a change in our theory of schooling and the extraction of modern day schools from the gesellschaft camp. Not advocating a polar swing, rather, ‘to build gemeinschaft within gesellschaft’. That, in order to revive a sense of common membership; community of kinship, of place, and of mind. A mutual binding to a common goal and shared set of values. I wonder how schools might cultivate relationships with families and local community in order that such an authentic sense of community be invoked? Blau and Scott (1962) say that communities are socially organised around relationships and the felt interdependencies that nurture them. I have an interest in social interactions across the school community and how the building of relational trust might address issues around relational power. Bryk and Schneider (1996) task leaders with taking actions that reduce parents and care givers’ sense of vulnerability in social interactions that take place in and around school. They see trust very much as a precondition for authentic participation in partnerships. Relational trust is based on perceived respect, competence, integrity, and personal regard for others, and depends on reciprocity. Need we think then on the nature of social interactions taking place in and around the school community and problematize the case for authentic partnership? We inhabit a world in which social divisions are widening not lessening. I believe that community development and commitment to social justice and sustainability requires an understanding of how power works at every level. A few years ago my interest in this dynamic was sparked by Warren and Mapp’s (2011) brilliant work reported in A Match on Dry Grass: Community Organising as a Catalyst for School Reform. The authors locate the problems of public education in the US as grounded in unequal power relations in a socially and economically stratified society. Contextually different to the UK and, indeed, New Zealand, maybe, but what can we learn from descriptions and analysis of ‘active participation’ in works such as Warren and Mapp’s? Saul Alinsky was an American community organizer and writer. He is generally considered to be the founder of modern community organizing. Alinsky was wholly appreciative of local traditions and values. He immersed himself in them when he organised. He thought the only way to communicate with people was within their experience and you could not do that if you did not learn how they thought or talked, or the stories they told. Modern day schools operate in a high stakes, ‘standards’ driven domain. School leaders are held accountable in a way they never have been before. Yet school leaders also have a direct influence on shaping a school community climate of trust and belonging. What is it that relational leadership has to offer a vision that is based on empowerment of others? One in which leadership lies not in the position given, but in the position taken (Foster, 1986). Should we focus on forms of communal leadership and how that might advance understanding of the position school leaders might take, accepting that school leaders do have a direct influence on shaping a school climate of trust and belonging through “boundary-spanning interactions” with families and local community (Adams et al.,2009). I believe that relational leadership turns on our understanding of relational power, relational trust, and our willingness to truly engage with, listen to, and have authentic dialogue with all members of our school community. I would say, too, that in looking to exercise communal leadership we need pay attention to community capacity building. In exploring community capacity building, we would do well to turn to the field of critical pedagogy (a form of popular education based on people’s life experience) and how that impacts the concept of social justice in our schools, interrogating the insights provided by the likes of Paulo Freire, John Smyth, and Henry Giroux. Community capacity building approaches provide space for those most affected at the ‘grass-roots level’ to identify the constraints they are experiencing. The adoption of ‘co-learning’ and ‘problem-solving… dialogue among equals’ (Eade, 1997) trumps the idea of ‘experts’ administering to those deemed inexpert. Smyth (2011) offers a relationship-centred and dialogical problem-solving approach. The approach hangs on the premise that if change is to be sustainable then what has to be engendered is ownership, and producing this means being patient and flexible in the way in which relationships are created and sustained around authentic trust, respect and notions of mutuality and reciprocity. The following extract is drawn from a research project carried out in the UK by Harris, Andrew-Power and Goodall, reported in Harris et al. (2009), that explored the relationship between parental engagement and pupil achievement. Think on this… Joyce Epstein’s theory of overlapping spheres of influence, determines that students learn more when parents, educators, and others in the community work together to guide and support student learning and development. In this model, three contexts – home, school, and community – overlap with unique and combined influences on children through the interactions of parents, educators, community partners, and students across contexts. With attention to contexts and social relations, the theory of overlapping spheres of influence changes the narrow focus of “parental involvement” from what an individual parent does to a broader, more realistic representation of how students move, continuously, in and out of several contexts and how the influential people in those contexts may work together to contribute to students’ education and development. As a school leader, I have worked with Steve Constantino’s logic model. Critically, Constantino’s work talks of and seeks depth of engagement. It incorporates Epstein’s ‘Six Types of Family Involvement’ and factors in activity across the 3 Spheres. Chapter 1 in Steve’s book Engage Every Family: Five Simple Principles is titled Would Every Family Choose You? What better starting point? If we cannot trust ourselves to check back in with that on a regular basis should we consider emblazoning it big and bold somewhere on the walls of our staff rooms and offices? I say that family and community engagement is the responsibility of all in school, and leaders have a responsibility to provide top quality professional development opportunities around family and community engagement, plus the time to immerse themselves in active participation, alongside parents/carers and community members. I am saying that such an aspiration will not be achieved without school leaders exercising relational leadership and communal leadership in order to ignite community capacity building so that the best interests of our young people be met. I explore all of these ideas and more in greater depth through a series of blogs, here communal leadership and social justice and would greatly appreciate your feedback. Eade, D. (1997) Capacity-Building: An Approach to People-Centred Development. Oxford: Oxfam. Freire, P. (1994) Pedagogy of Hope, New York: Continuum. Giroux, H. (2011) On Critical Pedagogy, London: Bloomsbury. Harris, A., Andrew-Porter, K. and Goodall, J. (2009) Do Parents Know They Matter? Raising achievement through parental engagement, London: Continuum. 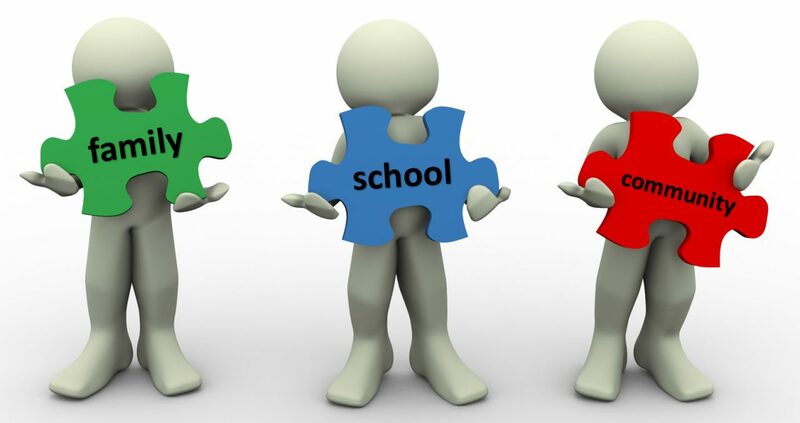 Henderson, A. and Mapp, K. (2002), A New Wave of Evidence: The Impact of School, Family and Community Connections on Student Achievement. Austin, TX: Southwest Educational Development Laboratory. Sergiovanni, T.J. (2004) The Lifeworld of Leadership: Creating Culture, Community, and Personal Meaning in our Schools, San Francisco, CA: Jossey-Bass.